The Slim Has Already Proved An Excellent Announcement For Sony As It Dominates Preorder Charts. 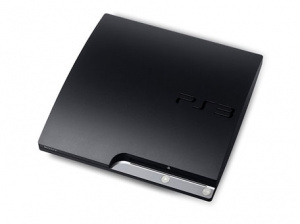 99 price-tag on the Playstation 3 Slim if made for "sensible business". House also confirmed that he feels the company are in good shape for the coming winter, with tons of games and the new PSN movies service planned. I think, will put us in reasonably good shape for this holiday, he said. We don't expect Sony to make a massive dent in the console war this Holiday season, but we do assume they are going to make up a fair amount of ground. And if the Slim means Sony might be able to do a small drop next year too, well we think they have everything in place to be really aggressive in the forseeable future.